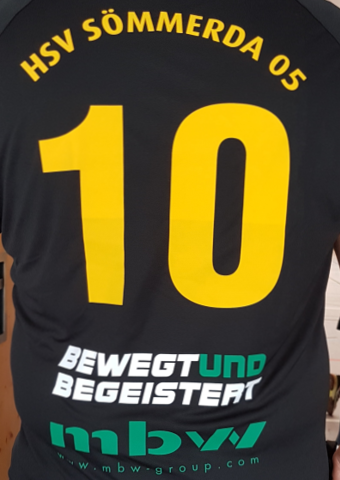 While the running season 2018/2019 mbw supports the handball sports club Sömmerda 05 e. V. The club was founded in 2005 and all of their teams are playing in a regional Thuringian League. They have the 1st male-team which is playing in the „Landesliga Thuringia“. The 2nd male-team playing in the „Verbandsliga Thuringia“ and the team called „the old stars“ playing in the „Volksportliga“. They also have some youngster teams, that are grouped by age. Two of them are also playing in the „Landesliga Thuringia“, that’s the „A-Youth“ and the „C-Youth“. The work with the offspring is a very important headstone of the club. There are many different teams, that are not in an activ league operations yet, but shall assure the sporting success of the club in the future. We keep our fingers crossed for a successfull season and we also wish them a lot of fun in playing handball.